Since the autumn of 2016, the Red Star Line Museum has been drawing attention to one of the Red Star shipping line’s lesser known activities: its cruise activity. The museum will bring the cruise era back to life with an exhibition, a book and a concert by the Flat Earth Society. The emphasis is on the stories of the passengers and crews of the Red Star Line's cruise ships. The exhibition includes an original film shot by an amateur filmmaker during his cruise on the Belgenland between 1927 and 1928. From 1873 until 1934, the Red Star Line ferried migrants in search of a better life and the American dream from Europe to America. However, the shipping line also organised cruises and world trips in the Twenties and Thirties, often for wealthy British and American tourists and businessmen. “Cruise Away” zooms in on life on board of these cruise ships. The exhibition was built around the experiences described in the diaries and travel reports of passengers and crew. And these include several Antwerp stories, as the crew on these cruise ships was largely recruited in Antwerp. The cruises were an amazing opportunity for Antwerp seamen to see the world. The exhibition also reflects on the zeitgeist of the years in between the two World Wars and the emergence of tourist destinations. 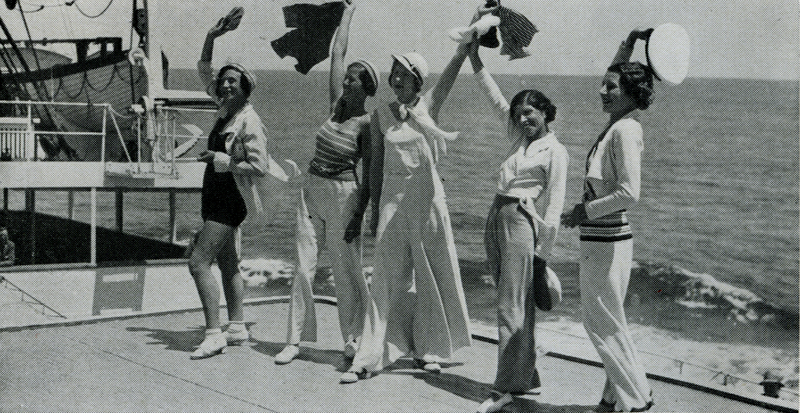 At the same time, the exhibition also takes a critical look at the cruise experience during the Roaring Twenties. The ships in many ways resembled gilded ages. Often the passengers lived in a bubble of excessive comfort and luxury on board these ships. Colonial prejudice and the great gap between the rich and the poor obviously rose to the fore when cruise tourists met with the local population in certain destination. The photos of the award-winning photographer Mashid Mohadjerin reflect on contemporary reality, as a counter-narrative for the historical narrative of the cruises. She followed part of the route of a Red Star Line Cruise, journeying through the Mediterranean, along with the journalist Ayfer Erkul. In 1921 and 1924, the United States introduced quota, thereby effectively restricting immigration into the United States. As a result, the number of European migrants was drastically reduced. Shipping lines, such as the Red Star Line in Antwerp, were forced to find new ways of generating income, among others with cruises. The ocean liners were transformed into cruise ships, which ferried the super-rich to exotic destinations during the Roaring Twenties. 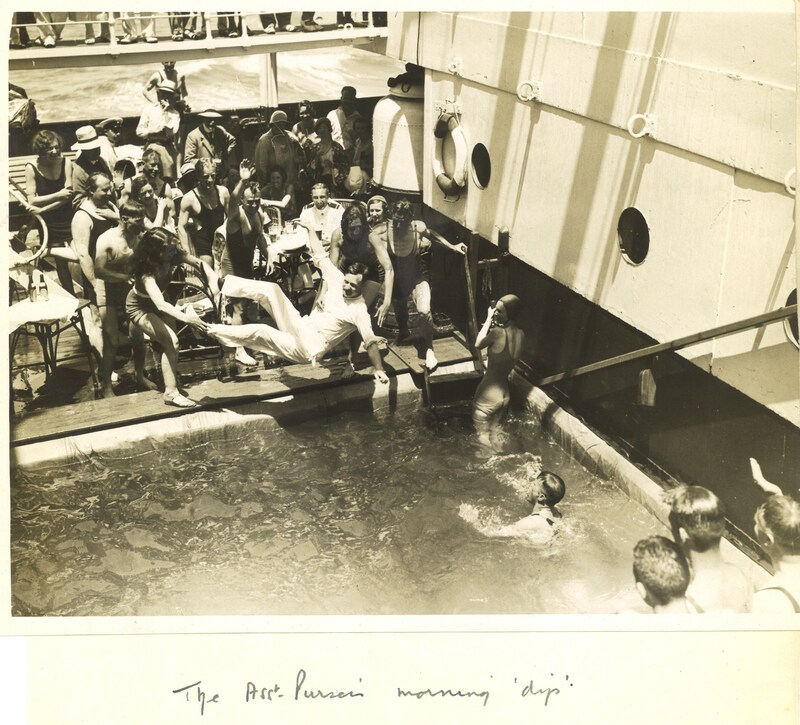 On board passengers enjoy jazz, large quantities of alcohol and swam in an open-air pool on deck. But in a sense, these cruise ships were like gilded cages. Passengers rarely ventured out of the comfort zone of their ship, to see the reality of the countries they visited. Museum employees and international experts paint a picture of life on board. They reflect on the zeitgeist and explore the motives and impressions of cruise goers. The photos of Mashid Modjaherin are like a leitmotiv in the book, alongside the historical images. The catalogue is published by Davidsfonds Uitgeverij. With contributions by Bram Beelaert, DeSoto Brown, Ayfer Erkul, Waleed Hazbun, Marie-Charlotte LeBailly, An Lombaerts, Mike Robinson and Gerrit Verhoeven. The Red Star Line ship S.S. Belgenland sailed around the world six times. Recently fifteen rolls of film surfaced that were shot by an amateur filmmaker during the ship’s third world cruise, in 1927-1928. They were taken during the Olsen family’s cruise. The films have been expertly restored and reworked by Cinematek. Peter Vermeersch has set them to music. On 1 October, he and his band Flat Earth Society will perform the soundtrack live. Sat 1/10 at 8 p.m.
Het dagboek van crewlid Eugène Van Hove vertelt over het leven aan boord van de Red Line Cruises in de jaren '20 en '30. Over plezier maken aan boord, de wereld ontdekken, familie missen en over ... lastige passagiers. Het Red Star Line Museum zoekt verhalen over luxereizen in de jaren '20 en '30 voor een nieuwe tentoonstelling. Het museum organiseert ook tijdelijke tentoonstellingen in De Loods. Deze ruimte, de oude bagageloods van de rederij, is tijdens de openingsuren van het museum gratis toegankelijk.